Once upon a time, they taught us to believe. They were the 1980 U.S. Olympic hockey team, a blue-collar bunch led by an unconventional coach, and they engineered perhaps the greatest sports moment of the twentieth century. Their "Miracle on Ice" has become a national fairy tale, but the real Cinderella story is even more remarkable. It is a legacy of hope, hard work, and homegrown triumph. It is a chronicle of everyday heroes who just wanted to play hockey happily ever after. It is still unbelievable. 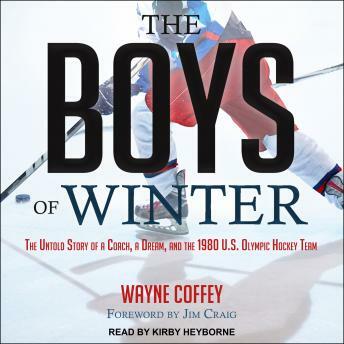 The Boys of Winter is an evocative account of the improbable American adventure in Lake Placid, New York. Drawing on hundreds of hours of interviews, Wayne Coffey explores the untold stories of the U.S. upstarts, their Soviet opponents, and the forces that brought them together.